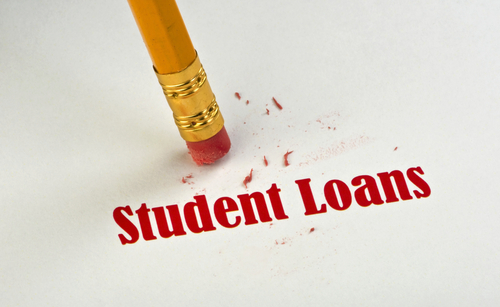 Is Now a Good Time to Refinance Your Student Loan? A simple question: is now a good time to refinance student loans? The answer is a resolute yes. The student debt crisis in the U.S. is so serious that even Congress took note of it and tried to make amends by passing a relevant bill. Best known as REFI (Refinancing Education Funding to Invest) for the Future Act of 2013, this law was first proposed by Senator Sherrod Brown. Furthermore, in mid-2014, President Obama pledged to enlarge the Pay As You Earn Program. While Sen. Brown’s bill would serve to protect students on private student loans, Obama’s plan is to limit the repayment of a federal student loan to 10 per cent of the debtor’s income. So, then, if now seems to be a particularly good time for hitting up an online refinance calculator, how does student loan refinancing actually work? Let’s check out the process. 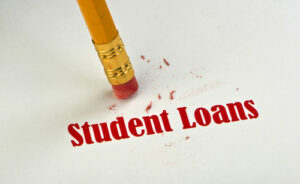 Why refinance a student loan? First off, you must bear in mind that to consolidate student loans is different from refinancing them. when you’re looking to refinance, you’re effectively having a second lender pay back the old loan in full. It’s a good idea to refinance a loan if you can score a lower interest rate and a smaller minimum payment each month. Of course, as is always the case with a loan, be it a personal one or calculating your Wells Fargo mortgage payment rate, you need to remember that your credit score will be taken into account. But if you do have a good enough credit standing to be eligible for a refinancing right now, you will benefit from the currently low interest rates, which are probably not going to stay this low for much longer. When is the best time to refinance a student loan? Deciding when to refinance a student loan is a bit more complex than figuring out if Wells Fargo mortgage rates are better for you than, say, Chase mortgage rates. That’s because you need to act fast and opt for a refinancing as soon as you can, during your loan repayment stage. Not only can this strategy lower your interest rate and have you pay less throughout the whole duration of the loan. It will also render your monthly payments lower. However, wait for as little as a couple of years and the amount you’ll be able to save from interest, over the duration of the loan, will be far lower. That’s because student loans have debtors pay more interest and less principal right at the beginning of their life-span. In other words, if you’ve taken out a student loan which needs to be repaid over the course of 10 years, you will have paid about 50 per cent of all the interest due for that loan by the end of the loan repayment period’s third month. This, of course, only applies if you’ve been regularly making the minimum required payment. First things first: check out this possibility with your lender and see if they offer a refinancing. If they don’t, then you don’t have that many alternatives – only a handful. Yet some of them may offer you viable options. Several private businesses may help you refinance your college loan, be it federal or private. One of them is called SoFi: its main object of business is to fund student loan refinancing with the aid of college alumni. Another one, which is perfect for MBA holders, is called Common Bond. Then there’s the New York-based Pave, which will help you refinance your loan via crowdfunding, but this option may not be entirely viable, since their costs are about the same as with a traditional loan. Whatever you choose, be aware that you’re going to be starting over with a whole new loan, which will extend the overall repayment period. Make sure that you don’t end up paying more in interest because of this – and if you find out that this is a risk, make sure to make more than the minimum payment at the beginning of your repayment period.